Black Friday doesn't land until November 23, but that's not stopping Sky from slashing prices across its online store ahead of the big day. Not content with dropping the price of its Sky Q set-top box and throwing in a free 4K LG TV for every new customer (yes, really! ), the UK broadcaster has now discounted its Soundbox. This home audio solution, which is built by prestigious French firm Devialet, has now been dropped to £220 – a saving of £79. It's worth noting this price is only available for Sky customers, with everyone else expected to cough up £499 for the same kit. Sky Soundbox is an impressive speaker system and comfortably earned a full five stars in the T3 review. Our reviewer branded the Soundbox a "no brainer" thanks to its stellar sound and ability to easily integrate with Sky Q – and that was when it was priced at £299, surely making it more of a "no brainer" now, right? The compact speaker boasts three 2-inch full-range drivers directed towards the front and sides of the box in addition to six 3-inch woofers. These are designed to bounce sound from the walls in your home to give the impression of a multi-speaker surround sound system, even in smaller living rooms. As well as boosting the audio on the latest blockbuster on Sky Cinema, the Soundbox also features Dolby Digital support in addition to Bluetooth 4.1 for streaming from smart devices via AirPlay. This latest Black Friday discount is a brilliant way to upgrade the audio in your home ready for the onslaught of Christmas movies looming on the horizon. Sky is only offering the Soundbox at this discounted rate until November 30, so it's worth adding to your virtual basket sooner rather than later. 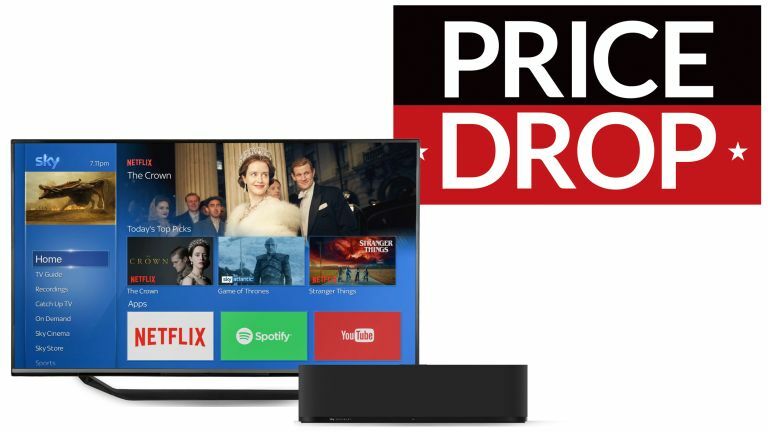 And if you're tempted by the Sky Soundbox, but haven't yet settled on a TV bundle from the satellite company, there is another bumper Black Friday deal that's well worth a look. Sky is offering its flagship 2TB Sky Q box with Sky Cinema HD, Netflix HD subscription, Sky Entertainment, as well as multi-room for £55 a month.